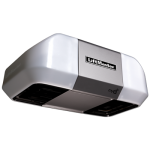 With a full line of professionally installed garage door openers, the goal of LiftMaster® is to help you come and go more smoothly – more confidently – from home to office and beyond. Making access to your home or business safe, convenient, and easy is what LiftMaster® professionally installed products do best – and they've been doing it for more than 100 years. They are committed to quality, performance, and reliability that continually exceeds their customers' expectations. They stand behind their products 100%. And so does Dan's Overhead Doors & More, who can help you find the right models, product configurations, and solutions for whatever your access control and communication needs may be. Our newest model – the 8550 Elite Series® DC Battery Backup Belt Drive – offers the ultimate in features and performance. This intelligent, fully integrated Battery Backup model has expanded radio frequency range and includes MyQ® technology, allowing homeowners to open or close their garage doors from anywhere in the world by using a smartphone or computer. It continues to work even when the power is out, ensuring you access to your home even during a power outage. All Elite Series® models come with cutting-edge accessories for the ultimate in garage access. Specially designed for garages that don't allow for a traditional garage door opener, our ultra-quiet, space-saving, Wall Mount opener is perfect when you need to save space or have an oversized door or cathedral ceiling. It mounts on the wall beside the garage door, so ceiling space is freed up for maximum storage. This unique system offers the added option of our Battery Backup system to let you in and out of your garage even when the power is out, as well as our premier line of accessories for the ultimate in garage access. ​MyQ - Garage door openers with brains AND brawn! The MyQ®-enabled LiftMaster® Internet Gateway is your simple solution for home control. It utilizes two-way communication technology which allows you to connect to and control your garage door opener, gate operator, or home lights by using an Internet-enabled smartphone, tablet or computer from anywhere, any time. Just imagine if you forgot to close your garage door, need to let the service or repairman in when you're not at home, or you are on vacation or at the office. 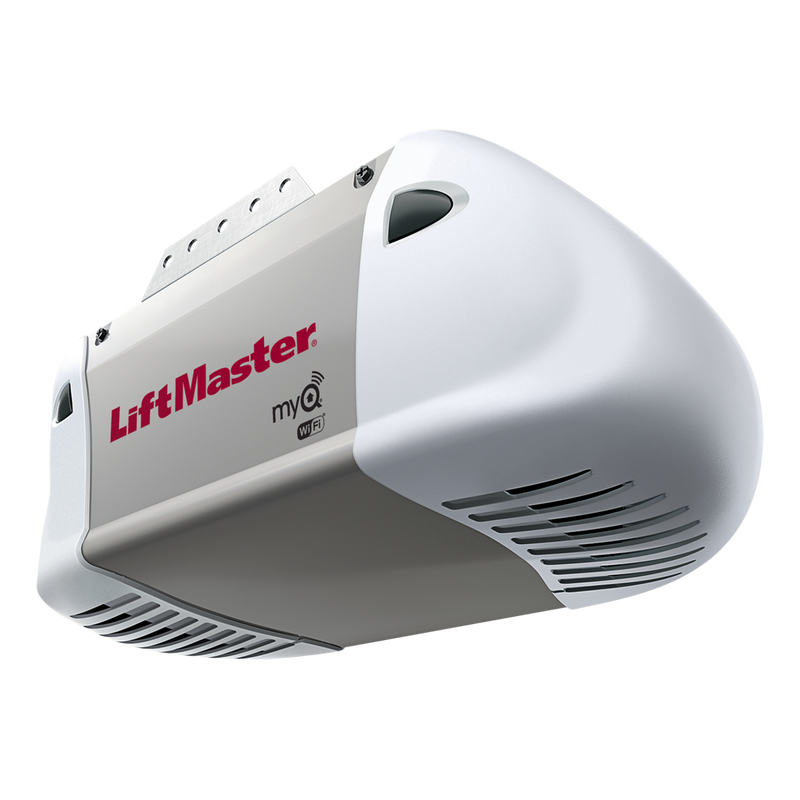 LiftMaster MyQ® technology gives you control from anywhere! LiftMaster® MyQ® Accessories offer intelligent communication that allows you to access, activate and monitor for greater control and security of your home. Imagine being able to open your garage door for your neighbor or a friend - even if you're on a business trip away from home. You can by tapping into the LiftMaster® Internet Gateway by using your smartphone or computer. Read more about MyQ® Technology and our two new garage door openers. Upgrade your LiftMaster® garage door opener manufactured since 1998 to the new MyQ® and Security+ 2.0™ radio systems so you can control and manage your LiftMaster® garage door opener and other MyQ® accessories from anywhere in the world by using your smartphone, tablet or computer.